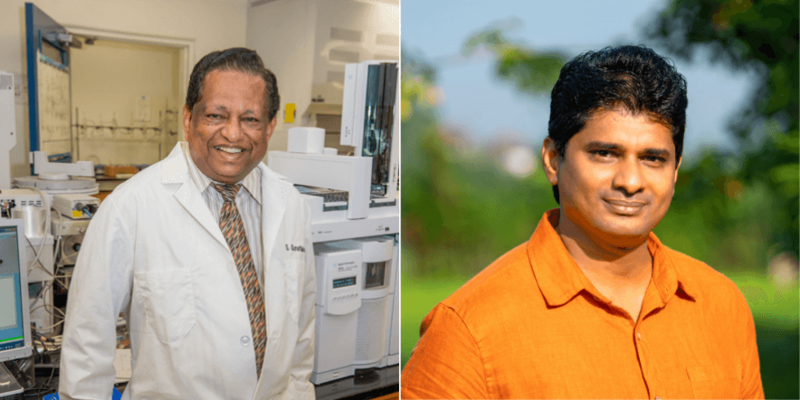 I just read the press release from the AAAS about the 2019 Scientific Freedom and Responsibility Award, going to two Sri Lankan physicians/researchers—Sarath Gunatilake and Channa Jayasumana—that apparently confirmed a deadly causal connection between a kidney disease (Chronic Kidney Disease of Unknown Origin; CKDu) and the herbicide glyphosate. Congrats, congrats! The names of the awardees seemed strangely familiar. Then it hit me: this was the 2014 paper where they looked at hard water consumption in Sri Lanka and then suggested a link between heavy metals and maybe glyphosate. The paper presented a hypothesis. There were no data. There were no experiments. It was a semi-well-crafted hypothesis that could be tested. At the time the anti-pesticide world lit up in celebration. Finally they had the smoking gun. I remember this vividly—only there was no smoke, there was no gun. It was a hypothesis to test. These folks don’t actually read the papers. The Sri Lankan National Academy of Science made clear statements on the associations, stating that the “research is not conclusive” and “we are not aware of any scientific evidence form studies in Sri Lanka or abroad showing that CKDu is caused by glyphosate.” vThe same organization also notes no association between CKDu and cancer, which we’d expect if the herbicide was causing both diseases as some claim. The researchers are obviously passionate about identifying the source of the problem in this region. An examination of their later work shows a dedicated inquiry into heavy metals and pesticides that occur in drinking water in agricultural areas, and their association with CKDu. They also look at the flip side and how access to clean water improves health outcomes. That alone is deserving of some recognition. I also think they would agree with me that the AAAS website was not fairly representing their work. While the authors are appropriately conservative in their conclusions, the AAAS website seems to be pretty certain, especially about the “lethal” herbicide and the role of corporations in ‘suppressing’ this ‘research’. “To right a wrong when significant financial interests are at stake and the power imbalance between industry and individual is at play takes the unique combination of scientific rigor, professional persistence and acceptance of personal risk demonstrated by the two scientists recognized by this year’s award,” said Jessica Wyndham, director of the Scientific Responsibility, Human Rights and Law Program at AAAS, in the release. The authors rely on statistical associations between agricultural inputs, heavy metals, and CKDu, and a hypothetical “Compound X” that could bind heavy metals and transport them to the kidneys. They suggested that glyphosate would fit the bill and build survey data that support that association. Cool. Again, a great hypothesis to test, but we have to be careful with interpretations. The caption says “deadly herbicide called glyphosate”—again, what am I missing here? This where AAAS oversteps the data, referring to the herbicide as lethal and deadly. C’mon, AAAS. If this was Natural News, Green Med Info, The Food Babe, or any other kooky khemistree website then I might understand. They’ve been trying to vilify agriculture chemicals for decades. But this is AAAS. I’m a member. I’m always in awe at the awardees for their work. 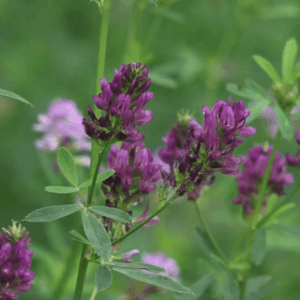 These authors see a problem in these agricultural regions and are searching for a cause. Certainly publishing such a hypothesis could bring lots of criticism to the researchers, as well as derision from farmers that rely on agricultural chemistry. However, I’m not sure how this situation jumps from a statistical association to a hard conclusion that rewrites agricultural policy and toxicology—especially when so many heavy metals levels are also high and associate with the disease (in the same authors’ findings). How does the Sri Lanka situation fit into the wider picture? In 2015, as a result of the headlines generated by the original hypothesis Sri Lanka became the first of many countries to ban the import of glyphosate. Three years later, Sri Lanka lifted the import ban, but continued to restrict the use of glyphosate on tea and rubber plantations. 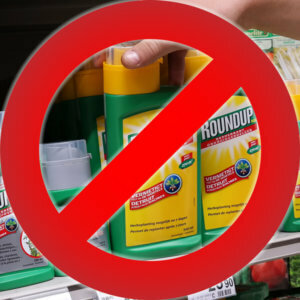 Sri Lanka is not the only place that uses glyphosate and there is no reputable mention of CKDu in other populations studied. There also is the incongruence between this report and other reports on the herbicide’s potential as a physiologically relevant heavy metal shuttle at levels found in drinking water. Other analyses of CKDu do not support their hypothesis. And notably, there are no reports that CKDu sufferers have been stricken with Non-Hodgkin’s Lymphoma, which a jury in California concluded (dubiously, according to scientists and the conflicting studies) should be the case. 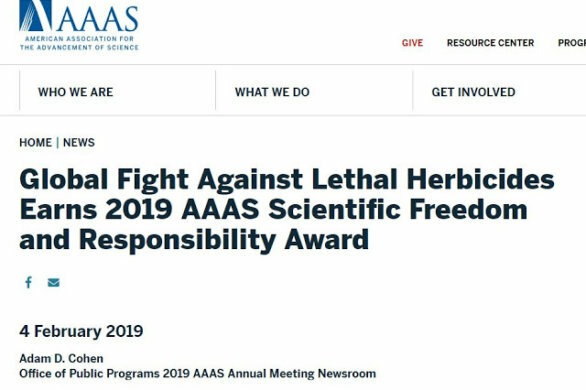 Despite all of the questions and shortcomings, we really need to object to the AAAS conclusions of “lethal” and “deadly.” Or they must have some information I don’t have. Or does the emperor wear no clothes? 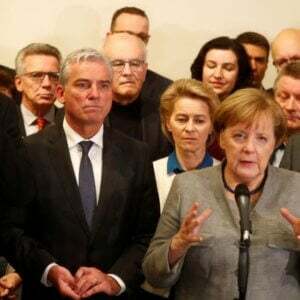 The bottom line is that the associations are not clear, the experiments to demonstrate strong links are difficult to do, and the multi-factorial nature and genetic/environmental overlays will make such conclusions difficult to discern. That has been the conclusion of others as well. This will be a very interesting discussion going forward. I’m glad to stand corrected here. But I’m afraid that our most esteemed scientific organization just elevated a testable hypothesis to “fact” and I’ll spend a lot of time over the next year explaining that the data are just not there (at least at this point) to support that conclusion. Editor’s note: Within hours after the posting of this article, the AAAS pulled its editorially suspect press release (see below) touting the non-existent research that fingered glyphosate as the cause of health problems in Sri Lanka. Why? We still do not know, but we will keep you posted and let you know when we know.